Did you know that more than 7 million Australians ignore dental treatment due to high costs? At No Gap Dentists, we aim to offer a whole plethora of dental services including the most complex ones at highly affordable rates. Home to a team of seasoned experts from the world of dentistry, No Gap Dentists promises outstanding results and is 100% risk-free. State-of-the-art technology with the latest dental equipment. Honest and friendly patient service. Advanced solutions to treat all kinds of problems. Hygienic environment that makes you feel very comfortable. Personal attention and customised treatment for each and every patient. Flexible payment plans for all treatments. When you schedule a teeth checkup Melbourne with us, we will ensure that you are completely aware of the entire treatment plan that you will be subjected to. This way, you can be sure that there are no hidden costs and no surprise bills at the end of treatment. Did you know that teeth cleaning can do than just protect your pearls? 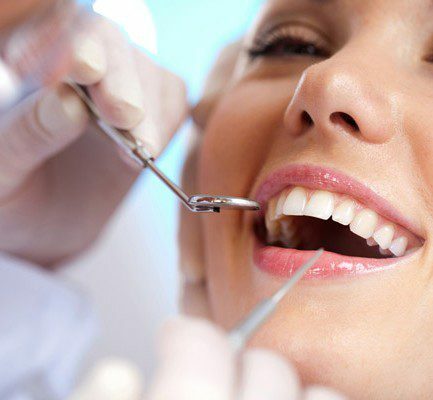 Professional teeth cleaning Melbourne promises optimal oral hygiene and also prevents other health complications like heart diseases and stroke (can occur due to poor oral health). When you visit us for teeth cleaning services, your chances of being diagnosed for other serious illnesses like gum disease, occurrence of cavities and even oral cancer are high! If you have been postponing the need for cleaning your teeth since long, call us today. We promise the lowest professional teeth cleaning cost Melbourne and ensure that there is no compromise on the quality of our service! Fix your appointment today and show off your sparkling smile in less than 45 minutes! Not sure about treating your teeth? Talk to our experts through our free consultation service! Our success rates are unmatched till date! Australians, both men and women (including children) trust us implicitly for all their dental needs. We serve a huge patient base that come to us with different types of dental problems and leave the clinic with a satisfactory smile. Our success rate for all dental health services is over 99% and is one of the best in the industry. Call 1300 320 881 and our team member will be able to help you get the right specialist in no time.